Mr. Jack Daniel Lohr, age 91, passed away Sunday March 24, 2019 at Westwood Health & Rehabilitation Center in Archdale. A funeral service will be 2:00pm Thursday ,March 28, at George Brothers Funeral Service. Burial will follow at Grace Baptist Church Cemetery on Fairfax Road. Mr. Lohr was born in Randolph county to the late Hubert and Bercelia Heilig Lohr. 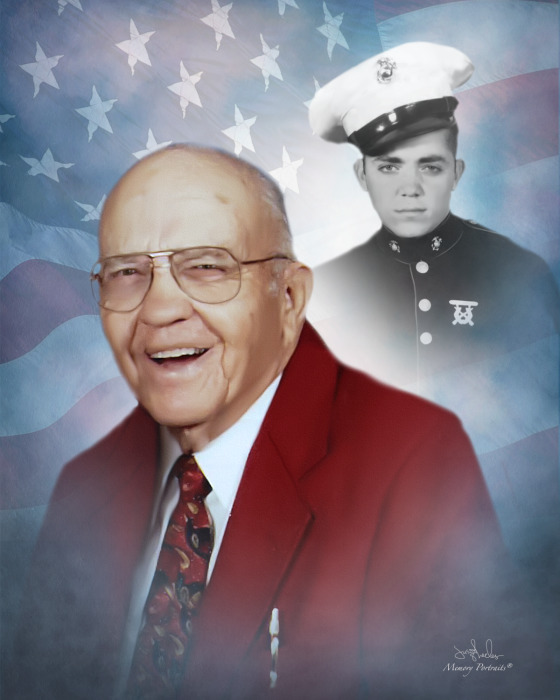 He was of the Baptist faith, and served his country honorably and faithfully post WWII in Pearl Harbor, while serving in the United States Marine Corps, and retired from Wrangler as a driver, and later drove busses for Holiday Tours and other bus and truck leasing companies. He was known for his flawless restoration of his 1939 Lincoln Zephyr from the ground up, later participating in car shows, parades, and other historical exhibits. He enjoyed giving rides to couples who may have owned that car in their earlier years or had other nostalgic experiences in that model car. He enjoyed working with his hands making furniture and accessories from antique wagon wheels, doing decorative wrought iron and even built a small runabout motor boat. He was preceded in death by his wife of 62 years Dorothy “Dot” Atkins Lohr; daughter Janet Denise Lohr, son Timothy Jack Lohr, and grandson Dean Pugh, three sisters, and three brothers. Mr. Lohr is survived by his children Dottie Serafin (Dennis) of Summerfield, Jackie Pugh (Ronnie) of Greensboro, and Danny Lohr of Randleman. Also surviving are one sister, five brothers, eight grandchildren and twelve great-grandchildren. The family will receive friends from 1:00-2:00pm Thursday at George Brothers Funeral Service. In lieu flowers, memorials may be directed to Hospice of the Piedmont, 1803 Westchester Dr. High Point, NC 27265.